Charlie, I really like "Black Jacket Woman". It has strong melodies! I also listened to "COMPILATION ALBUM". I like "Bring It Back" very much! Your voice is smooth and harmonies are beautiful! "I'm Flyin", "Hold On" and "Live Your Dream" are also good. These are melodic rock that I like! I felt like I was listening to music that I always thought was with some substance, like back in the 70's and 80's. Back then, there were very talented bands out there delivering quality music that was worth its salt. Your music, particularly 9 Ball & Live Your Dream has that quality and has the edge to take what was good back then and bring it up to date. It's Rock and Roll I like and search hard for today that I liked yesterday and has the sound of rock and roll for tomorrow! I love rock and roll, and, Charlie, your music is Rock 'n' Roll. I'd like to add that the production quality is excellent and the musicians are outstanding in every way! A real stroke of genius! 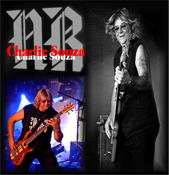 I was first introduced to Charlie Souza via Bill Lordan (Robin Trower Band). He colaborated with Bill and Eric Turner on some songs and I wanted to hear more. Livin' In Paradise is a wonderful album with a diversity of styles. Jazzed up Rock and Roll in Summertime Blues, some mean sax. Latin influenced blues (Javier Vargas/Santana) on track 4. Time. Amazing song. Funky rock. If you like your music happy then this album is a must as Charlie takes you on a Trip Thru Time to a Simple Life. Mr Souza is very lucky to be surrounded by some great musicians too. The guitar and brass sound so pure. Great production skills. A real stroke of genius is to finish the CD with a classic Lennon/McCartney track, All You Need Is Love. Dare I say it??? Equals the original version. Livin' In Paradise is a marvellous blend of memorable tunes, great stories and observations, served up in an appetising array of styles. I'll be surprised if I can find a more enjoyable listen this year. It has a great sound and a great variety of music. Liverpool, England ~ "Oh what joy! It's like a breath of fresh air blowing through the house!" ........ Sitting here going through this week's batch of CD's that have been dropped on my door mat, I am beginning to hope the next one is not going to be either a tribute to Robert Johnson or somebody trying to be SRV mixed with Hendrix. Then out of the blue I put on Charlie Souza's " 9 Ball In The Corner Pocket" CD and oh what joy, Like a breath of fresh air blowing through the house! Every track on the CD has such feeling and depths it's a pleasure to listen to. So if you find yourself sitting back wondering what CD to play for a change then go no further than this one! Then, after you have played it, go out and find "Live Your Dream " anther great CD from Charlie. Munich, Germany ~ Reviewer: Dirk Stursberg ~ 9 Ball in the Corner Pocket zählt zu den absoluten Favoriten in meiner Sammlung. Charlie Souza zieht alle Register eines guten Musikers: Rock, Pop, Funk, Balladen - und sogar ein Beatles-Klassiker darf auf dieser CD nicht fehlen. Diese CD ist in MUSS für Fans guter Musik. Darum kann ich jedem nur raten, diese CD umgehend zu bestellen. Tampa, Florida ~ Your 2 CDs are an example of your versatility. You have grown as a writer, a musician and your vocals are better than ever. I could not put the CDs down when I got them. I also enjoyed the Tropics, you guys were such a large part of my teen years. Damn bro, where did all those years go? 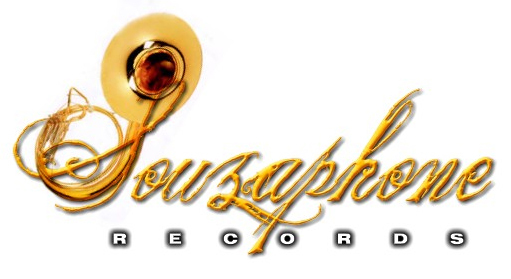 HOME..... Copywrite © 1999- 2020 By Souzaphone Records.......... All Rights Reserved!